I think that some of the problems facing Alzheimer’s patients are the caregivers. Like in schools, daycares, and institutions in general, people are forced to fit into a mould. When they cannot fit into the prescribed moulds that the institution dictates they are fed pills that take that choice away from them. I read an article recently where Beatitudes Nursing Home caters to independent choices of residents instead of trying to force their will on the people. At 80 or 90 health foods do not mean a thing, trying to improve quality of life by allowing people to perhaps do the things they could not do at a younger age e.g. limiting intake of eggs, coffee, alcohol, chocolate, does not wash anymore. I think people should be given whatever they need to make them feel happier and healthier because a happy person is a healthy person. Life is about quality not length at this stage of the game. It seems to be working for the people at Beatitudes because one woman, who was kicked out of many nursing homes because of her attitude which was at times violent, is now a model patient. She eats her chocolates and she has a doll to take care of. 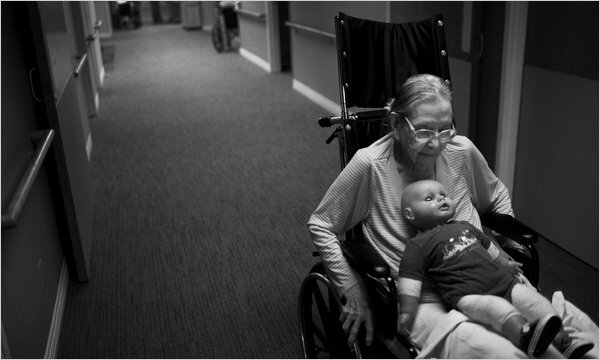 Why can’t more nursing homes treat people like human beings rather than patients? After all the contributions these people make to our society throughout their lives, they deserve to be treated with the utmost respect. We need more nursing homes like Beatitudes please. If you had a loved one whose memory was failing wouldn't you want them to receive the best care and most of all be happy and contented? Well if you do, Beatittude is the program to adopt. Forget about the professional nonsense and treat your loved ones like a respected individual regardless of their memory. Underneath all that is your loved one.